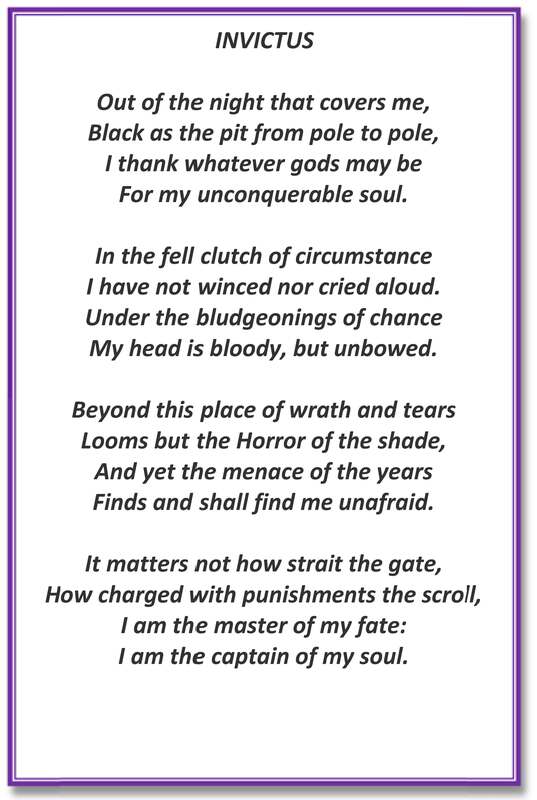 Whenever I get stressed, either through OCD (which is quite often) or by everyday life, I find strength & comfort in the poem “Invictus” – written by William Ernest Henley (1875). I find it so valuable that I have it printed out and blu-tacked to the wall directly above my computer monitor. 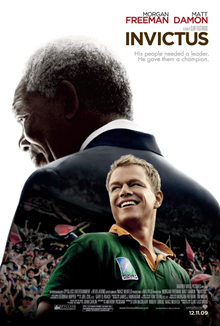 I discovered it through the film of the same name, staring Morgan Freeman and Matt Damon. It was an important poem to Nelson Mandela who used to recite it to fellow inmates on Robben Island as it gave him great inspiration. Not only are the words powerful and inspiring, but it reminds me that so many people are going through difficult times. And if someone can survive what Nelson Mandela had to, and come out as strong as he did, then surely I can get through my latest episode of OCD.